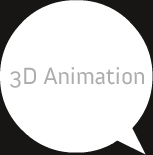 Over the years the 3D animation industry has witnessed sweeping changes. Indeed 3D animation has gone beyond the entertainment venues, floating into the areas like education training and games. Movie production studios, Universities, Corporates, Government Organizations, Industries, gaming companies etc. have identified the potential of 3D animation in their day to day activities.